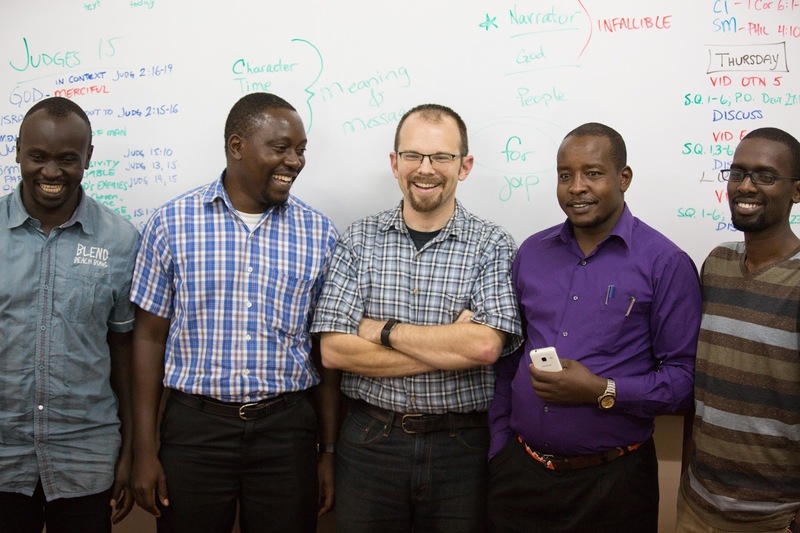 It's been encouraging to see friends here in Kenya post on social media about the Reformation's anniversary today. The Lord is at work spreading an unwavering devotion to his Word and a passion for the pure gospel throughout our city. What a privilege to be a small part of what he's doing! One way we're seeking to spread the flames of reformation through the thick brambles of man-made religion is by equipping church leaders with the Word. Our school year is nearing its completion, and each course, from Old Testament Survey to New Testament theology to Methods in Writing, aims to give pastors and others the tools they need to serve. Please continue to pray for impact beyond the academic. On the home front, we've enjoyed a special visit from my mom this month. We sneaked away for a quick trip to a game park a few of hours out of town while she was here. 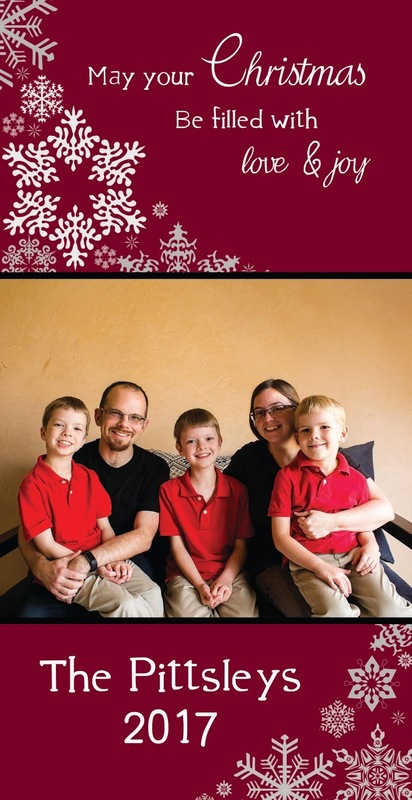 We're grateful for this opportunity to connect with family and to make these memories. Our God is kind beyond measure in ways big and small. Please be in prayer for Kenya as the political situation remains unstable. Kenya’s elections this year have been marred by various complications. The Supreme Court declared the original presidential election of 8-Aug invalid, and the second one (26-Oct) was poorly attended in large measure because one of the main candidates was convinced that the problems with the first vote had not been fixed and asked his supporters to boycott the second. We’re still waiting to hear what will come of that second vote. In the meantime, political violence has erupted, the economy has slowed, and crime has escalated. We have been safe as a family, but the instability has certainly touched places we frequent and people we love. Please pray that God would grant wisdom, humility, and integrity to our leaders here as well as peace and justice to the Kenyan people. 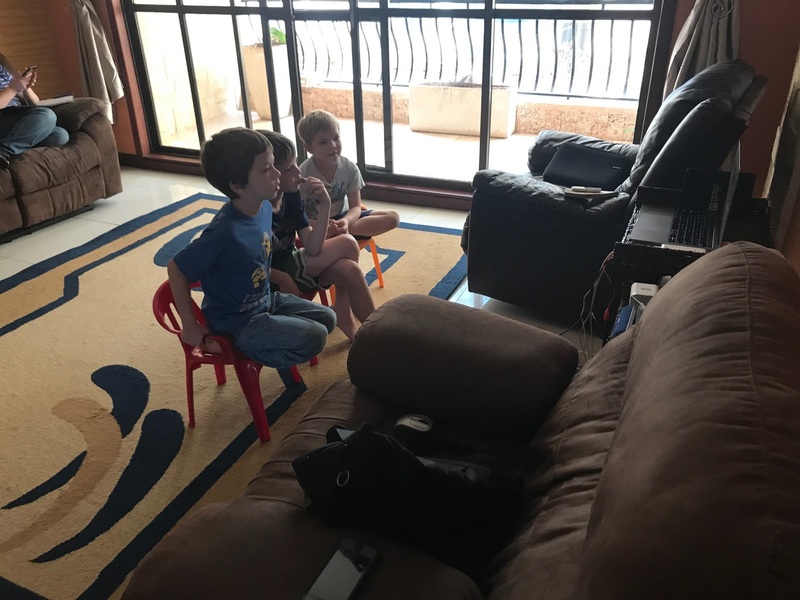 Classes continue for both EABST students at work and the Pittsley boys at home. Right now I can hear Josiah working through the rudiments of calculating interest in his online math classes. 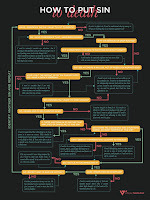 In EABST's Old Testament Survey, we've just completed the initial preparatory questions: What is the Old Testament? How has it come down to us? And what are we supposed to do with it? Now we're prepared to dive into the text itself. Pray for us that we would see the glorious reign of God as he sovereignly prepared the path for Jesus through the sometimes hard and sometimes happy history of Israel. This semester Monday is officially family day, and I've been working to keep that day free for hanging out with Jen and the kids. It's been a treasure recently to deliberately set aside time for discipling, enjoying, and relaxing with these guys. Each of them is a pleasure to talk to and play with at this stage. At the same time, Jenny and I long to see them grow toward faithful, godly adulthood, and this time together an investment in that future. Please also pray for us as we reach out in our community. We need wisdom to capitalize on the opportunities that God sends our way for the spread of his fame and the gospel. The man pictured to the right is a complete stranger. 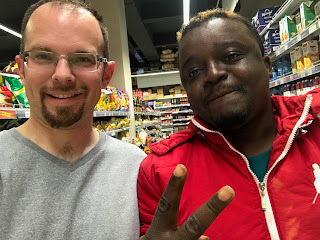 In the middle of a local grocery store the other day, he asked to take a picture with me, and I obliged. I have no idea what use that picture is to him, but as I think of it now, I could have used this chance meeting as an opportunity to get to know this man whose life intersected with mine in what appeared to be completely random circumstances or even as an opportunity to bring up the saving gospel of Jesus. Keep praying that we'll be faithful to this task that we all share every day. Thank you for your faithful prayers and partnership with us as we work for the progress of the gospel here in Kenya. Around 9 years ago this fall, I preached my first deputation message on our long journey to Kenya. The text was 1 Timothy 2:1–7. There Paul instructs churches to pray for those in authority that we may "live peaceful and quiet lives" not for the sake of our own comfort but because "God our Savior…wants all people to be saved and to come to a knowledge of the truth." National peace and stability is a strategic tool in the hand of God for the sake of the progress of the gospel. The results of the Kenyan election were given last night, and the incumbent was declared the winner. While the opposition leader has disputed the results, he has not called upon his supporters to protest publicly—at least not yet—and for that we're thankful. There have been some skirmishes between police and protesters here and there in the city and around the country, but on the whole sanity has been maintained. Right now, it's really quiet outside, and we're okay with that. Please continue to pray for peace, for the sake of the many Kenyan lives at stake, and for the sake of the Name. We're thankful for the many answered prayers over the last month. 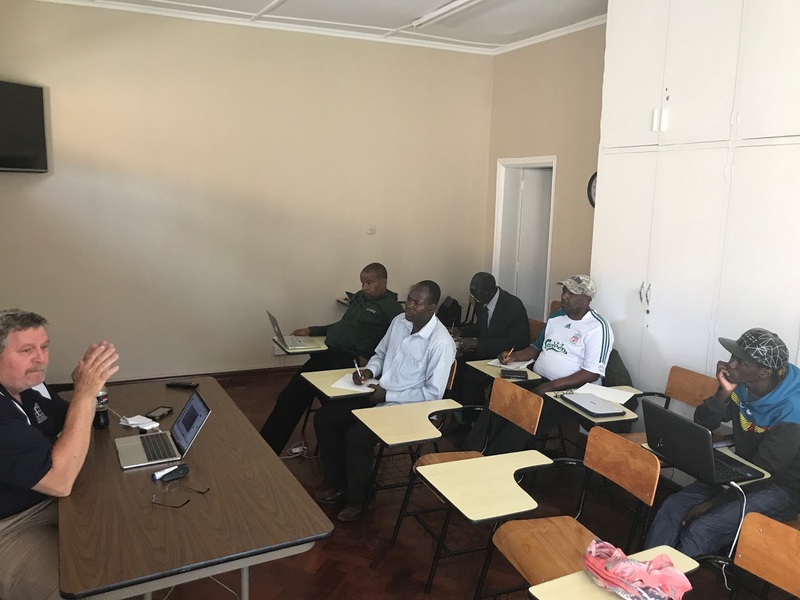 The first weekend of the month, EABST hosted a workshop on Bible message development. We explored 2 Timothy as a case study. Jonathan and I enjoyed watching as the students worked through the text, observing the structure of the book, its original occasion and central themes, and its 21st century application. It's such a privilege to see the way that the Lord is equipping these men to serve the church with the Word. The next week the Huffstutlers and Pittsleys took a quick break out of town. This was an opportunity to retreat and take a deep breath before the next couple of weeks of intense busyness and work. We also took time over the weekend to grow in our relationships as members of the EABST team. One of the first things I noticed was how quiet it was outside the city. We have become so accustomed to the noise of traffic, school children, radios and TVs; it's nice to just hear the wind sometimes. Two weeks ago, Jenny and I had the privilege of traveling to Malawi. I was able to visit with a teacher and administrator at a pastors' school. 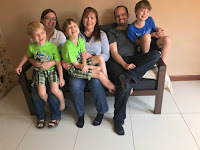 There I acquired a feel for their ministry, some ideas to take home for our ministry, and some ways our ministry might be able to serve them in the future. While we were there, Jenny and I also stood as best couple in the wedding of two dear friends. It was such a beautiful ceremony, and it was so exciting to see this couple finally tie the knot! Last weekend EBC and EABST partnered to host the long awaited Proclaim Conference. We had just over 400 attendees including many international guests. Christ's grace in allowing us to participate in his plans for his church in Africa is so incredible! The opportunity that we have here to equip pastors from many backgrounds with the truth of God's Word—especially this year, with our concentration on God's plan for local churches—is truly invaluable. Please keep praying for this ministry! During Proclaim and now into this week, Dr. Mark Snoeberger has been teaching on the topic of biblical theology. He has been equipping pastors and other church members with tools they can use as they seek to study for themselves how the pieces of the Bible fit together. Thank you for keeping us in your prayers. Please continue to mention us before the Lord: It is by his work in us that we are able to bring glory to his name. Every once in a while the Lord gives us merciful little reminders that what we call normal is in reality a very fragile thing. As the seasons changed from dry to rainy this year, I noticed a number of people taking time out due to illness. And three Fridays ago, I got hit too. I was diagnosed with some sort of bacterial infection in my blood. Antibiotics treated it pretty quickly, but a stomach bug took the opportunity to swoop in just as I was getting over the infection. I've been grateful to God over the last week to be able to recover the energy to catch up on everything. All told the month of April has flown by incredibly quickly! This last week we had the enjoyable treat of meeting with a pastor friend from the States. 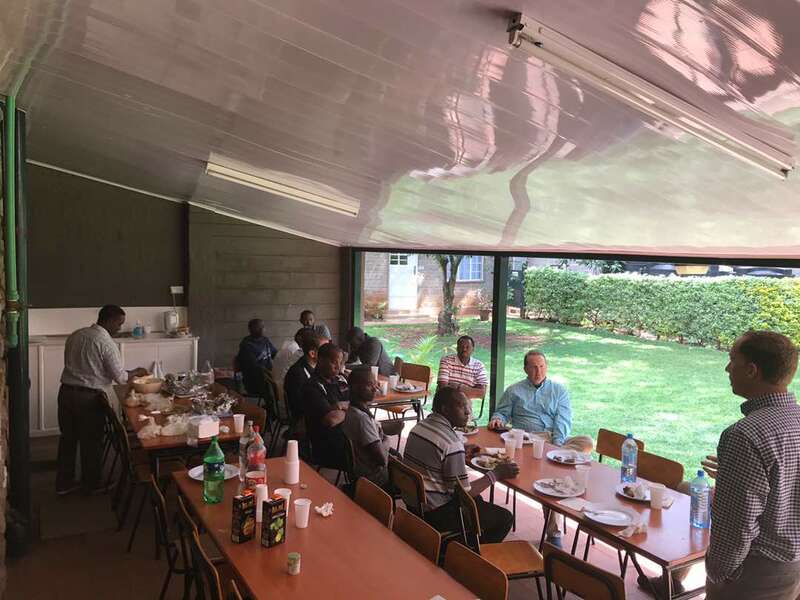 We had nyama choma (Kenyan barbecue), and he walked our students through several aspects of the life of a church planter and pastor. We're thankful for opportunities like this to equip and shape our students as they engage in ministries of their own. Next month is shaping up to be a big month for EABST and our local church, Emmanuel Baptist. The weekend after next, EABST is doing a one-day workshop on 2 Timothy, helping students work through the process of interpreting the Bible and preparing expository sermons. The big event at the end of the month is the Proclaim Conference, our pastors' conference. This year, we will be concentrating on the importance of the local church. Christ's good news creates a community and to miss the priority of the community is to misunderstand his mission. Please keep these items in prayer. As always your efforts and partnership with us in prayer are a source of deep encouragement. Our awesome God is worthy of our reliance and confidence. I'm hoping to get our print newsletter format updated in the near future. If you have a US mailing address you'd like me to be sending my print newsletters to, don't hesitate to drop me a line. In the mean time, here are a few ongoing prayer requests. 1. Wisdom as we continue to try to make EABST the best pastors’ school it can be. Curriculum development is an ongoing project, and the current progress is exciting. 2. Skill and energy for teaching both at our local church and at EABST. 3. Fruitful, effective ministry to area pastors through our pastors’ conference, Proclaim. We’re concentrating on a sound theology of the local church this year. The event will be the last weekend in May, Lord willing. 4. Growth in our own personal Christlikeness, in our discipleship relationships, and in godly parenting. We long for God's glory to shine through lives that could only be the product of his Spirit. Thank you for continuing to partner with us; God is working in answer to your prayers. My co-worker Jonathan Moore shared a bit here about another project we've been working on. It's a joy to see the way God has brought faithful men across our path who are eager to get to work in the mission of Christ in this city and beyond. Last Tuesday we began classes at EABST, and we're quite excited about two new developments here. The first is a couple of courses, Church Life and NT Survey, that we're implementing for the first time this semester. Some time ago, we identified several gaps in our curriculum and started planning to close those gaps. NT Survey is aimed especially at those students whose programs don't include our biblical theology courses. We want to expose them to the riveting message of the New Testament books with a view toward the grand story of redemption in Christ. Church Life covers sometimes controversial issues like the roles and responsibilities of pastors, church members, and missionaries. 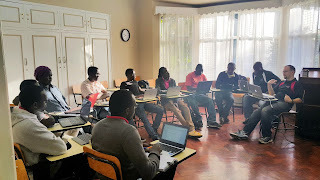 Other classes we're teaching include Evangelism, Old Testament Theology of the Writings, and New Testament Theology of Matthew and Mark. The other news we're excited about is that the Lord has brought seven new students our way! One of the new students, a pastor from a church across town, took me aside today to gently rebuked me. He said he had been looking for solid, affordable theological education for years. "Why are you keeping this place a secret?" he asked, only half joking. In fact, we're quite glad that word about us is getting out, and we're eager to be of service to this fine group of students as they seek to serve our Lord and his people. Please continue to pray with us as we seek to help churches entrust the Word to faithful men.